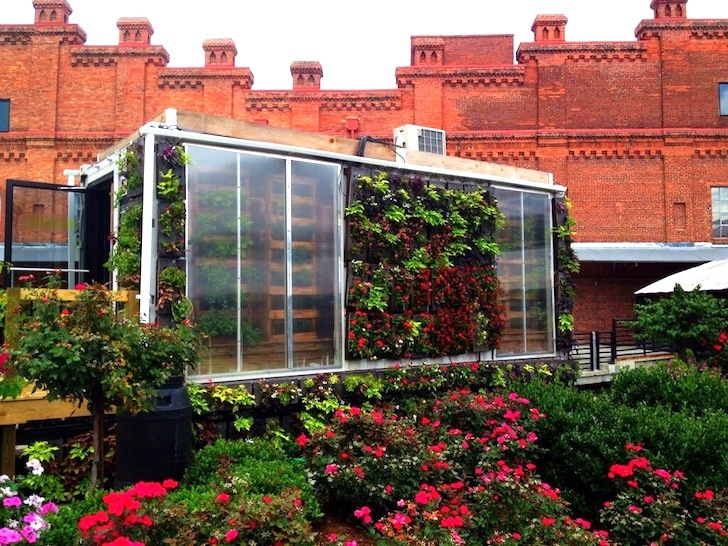 Sponsored by Burt’s Bees and located directly in front of their headquarters on the American Tobacco Campus in Durham, North Carolina, the Mini-Farmery is absolutely covered in living walls. Apart from the windows and doors, flowers and food grow all over this thing. Tomatoes, sweet potatoes and flowers grow on the green roof, and interior wall panels feature all kinds of herbs and other greens. 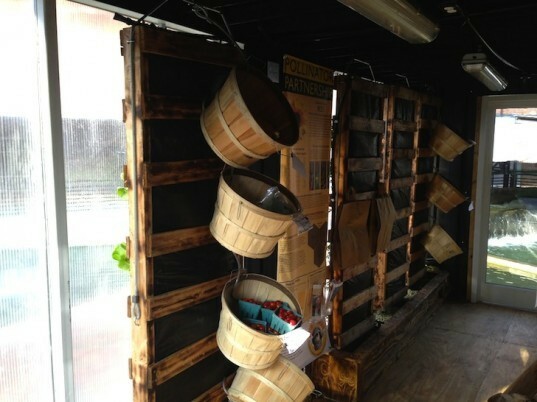 Once fully grown, the panels are flipped around and shoppers can harvest their own produce. On the other side of the interior are buckets of produce grown by Farmery and friends. Reservoirs at the base of the interior panels are used to irrigate the plants and provides a great place for watercress to flourish. Greene and his posse even converted a shower to enable mushrooms to grow inside, and these can also be harvested by customers. The full Farmery will comprise a 45 foot recycled shipping container complete with an upper level indoor farm and a downstairs cafe and grocery store. Check out the mini-documentary for more information about this awesome project!